Sedans such as the Jaguar XF have lost sales to SUVs and crossovers. Jaguar believes their popularity may return because their design is more aerodynamic, helping to make them more fuel efficient than SUVs. LONDON -- Jaguar Land Rover has no plans to ditch sedans despite disappointing sales, CEO Ralf Speth said. Sedans will play an important part of the automaker's future electrification plans, Speth told reporters Thursday after JLR announced plans to cut 4,500 jobs to return the company to profit. Jaguar's XE midsize and XF large sedans have performed poorly compared with the brand’s SUVs, leading to speculation that they might be axed from the range. Global sales of the XE were down 21 percent to 28,402 in the first 11 months of 2018, while XF sales fell 23 percent to 29,563, JLR figures show. Jaguar sales were up nearly 1 percent, helped by the launch of the E-Pace compact SUV. “At the moment SUVs are in very high demand and their relative growth rates are strong, but we already see it leveling out,” Speth said. He said the XE competes in the largest premium sector globally, one that includes the BMW 3 series, Mercedes C class and Audi A4. The XF’s sector was also "huge," he said. "That means you have to be in these segments to be competitive and achieve the right volume to generate economies of scale," he said. The popularity of the sedan is likely to return once tougher CO2 targets in Europe and China come into force. “Whenever you think you go away from sedans, you have to consider new CO2 regulations,” he said. “By 2030 and 2040 you are looking for reductions in the order of magnitude of 40 percent. That means from a pure physical point of view the concept of a sedan is far more favorable than SUV,” he said, referring to the increased aerodynamic efficiency of the sedan shape compared to the taller SUV. Jaguar will keep the sedans but might change the shape of the vehicles and increase the electrification for future models, Speth said without being specific. Critics have described the design of the XE and XF as looking too anonymous compared with German rivals. Speth would not comment on whether Jaguar would be switching to an all-electric brand, as has been reported within British media. JLR is cutting 10 percent of its mainly UK-based workforce to help deliver 2.5 billion-pound ($3.2 billion) savings in the next 18 months. Speth would not comment on speculation that the automaker plans to shut Castle Bromwich, the plant in Birmingham, central England, that builds the XE and XF. Max Warburton, an analyst at Bernstein, a bank, wrote in a note: "We suspect the closure of Castle Bromwich may now be inevitable." 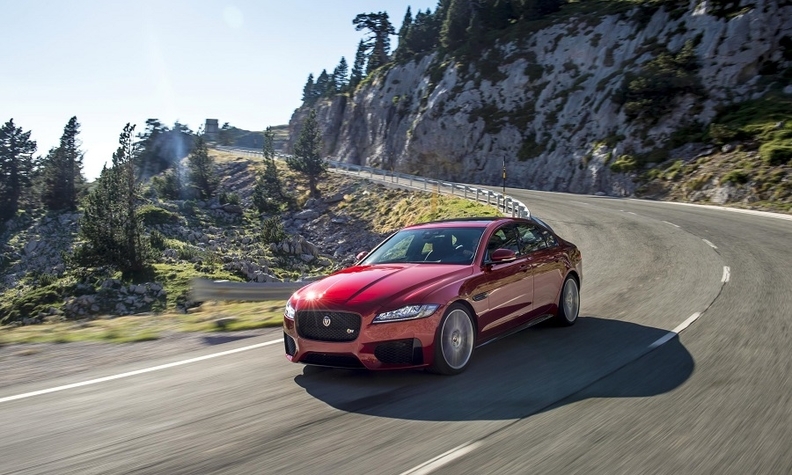 IHS Markit expects that the next-generations of the XE and XF will be built in JLR’s new plant in Slovakia from 2023. JLR has not commented on future production locations.